So Adorable. The boots are gorgeous and that smile even more so. She is just a sweet little sparkler. 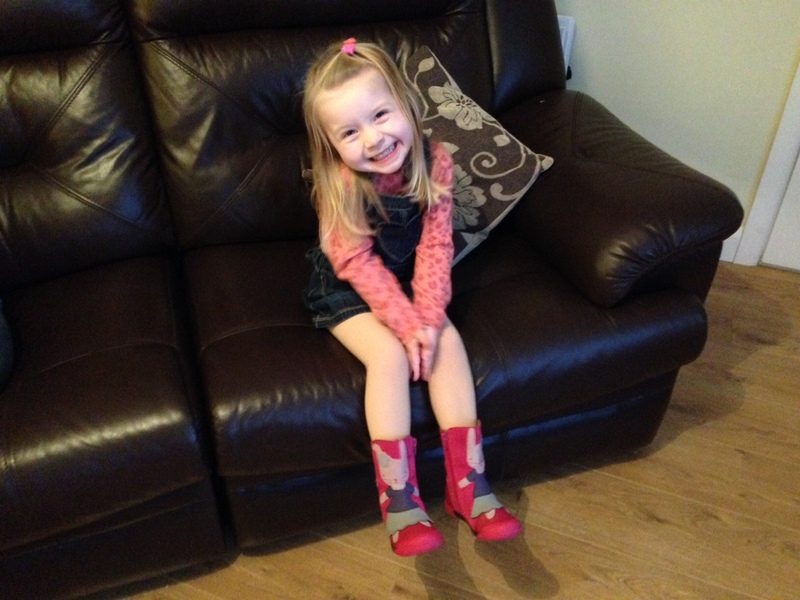 How wonderful she is happy with her boots.